Dr. Srinivas Kota always appreciates feedback from his valued patients. To date, we’re thrilled to have collected 10 reviews with an average rating of 4.9 out of 5 stars. Please read what others are saying about Dr. Srinivas Kota below, and as always, we would love to collect your feedback. 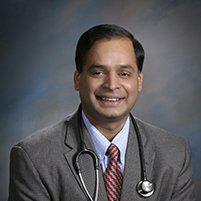 Dr. Srinivas Kota is a highly trusted integrative Medical specialist, I am visiting Dr. Kota for over 15 years. He is very friendly and takes care of his patients personally. Dr. Kota, not only spends enough time with his patients (about 30 to 40 minutes), but provides guidance on variety of subjects that might be really useful in maintaining the health of the patients in the long run. As a Type 2 diabetic patient, he has taken care of my well being by helping me to keep the sugar levels, and cholesterol by prescribing proper / safe medicine, diet and exercise. Their office is very prompt in follow-up regarding quarterly appointments, annual health checkups and lab tests. You could even go to their facility to give your blood samples and get the results sent to your smart phone. Dr. Kota had helped me like a family member when I was admitted to Edwards' hospital couple of years back for an emergency visit and re-assured that everything was under control and the visit was to ensure that I do not get into any serious complications in the future. Dr. Kota is a thorough professional and he has been my trusted physician for over 15 years. I love to recommend him to anyone living or moving into this area (Naperville / Bolingbrook). Very nice place, I always recommend Dr. Kota to my friends and family. Muy amables siempre yo los recomiendo a todos por muy buen servcio que brindan. Muy profecionales. Gracias por su atencion. Thanks for your services. He is always willing to take the time needed to understand my needs. Very knowledgeable in regards to my pre-existing condition. Dr. Kota and his staff really go above and beyond. They take very good care of me as a patient; they always work to get me in for appointments, tend to my needs, and follow up to make sure that I am on the mend. He truly cares about his patients. Our experience with Dr. Kota and his office has been truly beyond words exceptional. He is very thorough in his approach to any diagnosis. He has a personal touch and is very caring towards his patients. Most importantly our experience with his practice which has been very satisfying has been his integrative medicine approach. Trying out alternative strategies for cure in addition to the regular treatments is what we liked the most. We are blessed to have him as our PCP and would always recommend him to all our friends. Thank you Dr. Kota! The staff was friendly, reassuring and informative. Will definitely be back again! I have done both the Kybella and cool sculpting and couldn't be more pleased with the results. Not only were my results amazing, but the people working there are amazing too. It's not just about the results with them, but the person as a whole. I don't just look better, I also feel better about myself. Thank you, thank you, thank you to the Premier Physicians team!